Determining the URL of your posts before publishing them to your site is not a challenging task anymore. Fortunately, blogger provides a built-in functionality to determine what would be the URL (Universal Resource Locator) of your posts once they are published to your blog. 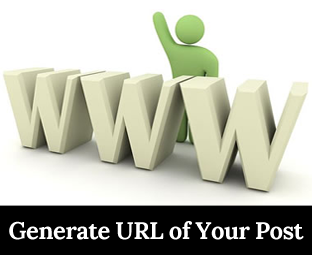 Generating a URL of your upcoming articles may help you in socializing your content. You can schedule your tweets on Twitter, Facebook and other leading social networking platforms. 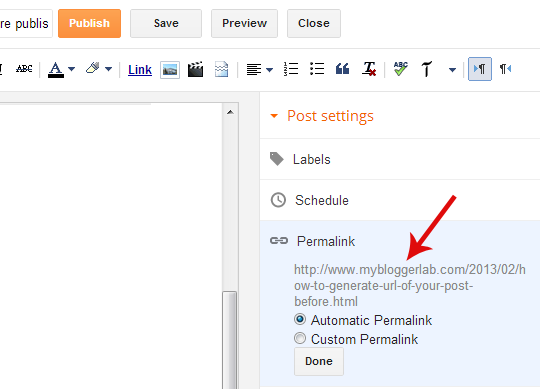 Therefore, today in this article, we will show you How to Generate a URL of Your Post before publishing it in Blogger? Now, some people might be thinking what would be the benefits of knowing the URLs of our Articles before even publishing them. Here’s the justification: You are creating a series over a certain topic which contain four different articles. Since, it is a series of same topics. Therefore, you have to link one post to another, so users can easily read your first article and can head to the next level. First of all, go to Blogger.com >> either create a new post or from the draft open an existing one. Write the whole article and select a Title for your post. 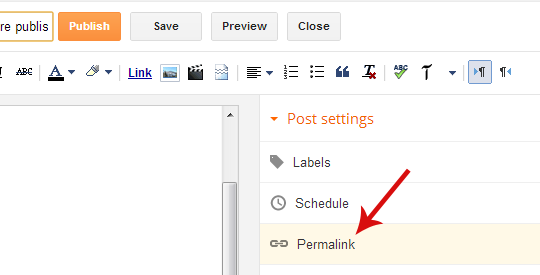 Once everything is finalized, and the article is ready for publishing or scheduling, select the “Permalink” tool just under the post settings. See the following screenshot for more details. After selecting the Permalink tool, it will start calculating the URL. After calculation on the basis of your title it would provide you the URL of your post that is still in the draft area. Before publishing your article, if you would visit the generated URL it would display a 404 Not Found page but, once the post is published it would display your original content. The another way of determining the URL is to use custom permalinks structure, Instead of selecting “Automatic Permalinks” select “Custom” and define them and press “Save”. Now, you have the URL of the article with your customized permalinks. You can also calculate the URLs manually because blogger fetches the first 39 characters from your Title and displays them in the Permalinks. However, this method is bit outdated and has few flaws, so stick to the default one. We hope this would help you in determining the URLs of your unpublished articles through a built-in feature. However, if anyone has other tips, then feel free to leave them in the comments. I already know that .. But GOod Work Faizan .. Keep It Up .. (Y) ..
thanks for the information syed ! Thanks a bunch!! Good post.